As part of the Scatterometer (SCA) developd for the Metop-SG programme, Almatech is responsible for the design, development, qualification, manufacturing and verification of all the SCA Antenna System (SAS) thermal control hardware. The project includes the design and production of Multi-Layer Insulation (MLI) blankets, as well as other thermal control components (thermistors, thermal washers, etc). 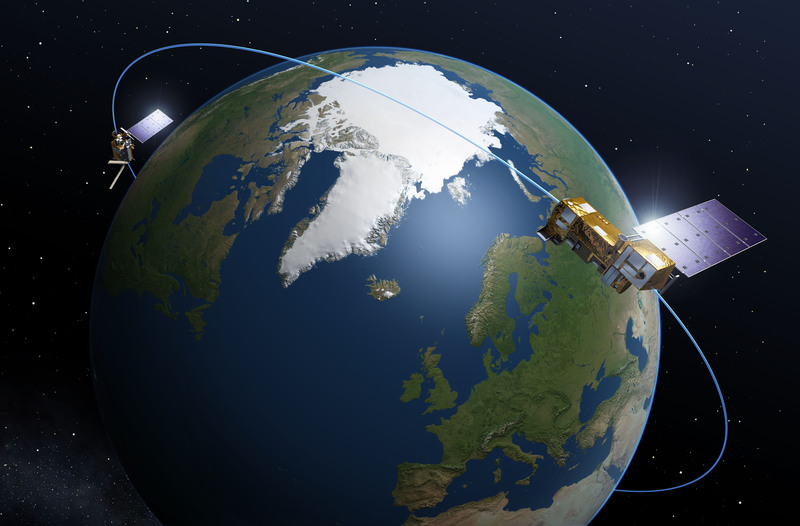 The Meteorological Operational satellite programme (MetOp) is a European undertaking providing weather data services to monitor the climate and improve weather forecasts. Metop-Second Generation (SG) is the follow-on system that will provide continuity of observations and respond to the needs of the users in the 2021–2040 time frame. The Scatterometer (SCA) is one of the ten instruments developed for the MetOp-SG programme. The aim of the instrument is to provide ocean surface wind vectors and land surface soil moisture. The SCA Antenna Subsystem (SAS) comprises 6 antenna panels which are distributed on 3 antenna assemblies. The total length of the instrument in stowed configuration is 3 meters. The SCA will be accommodated on the satellite B of MetOp-SG.